Today is the birthday of Kuang Jianlian (鄺健廉) better known by her stage name Hung Sin-nui (紅線女), but also known as Hong Xian-nu, Hong Sin-lui, Hung Hsien-nu, Hong Sin-loi. She is now considered a national treasure as a Cantonese opera star and movie actress in China and Hong Kong. She was born in Guangzhou with the name Kuang Jianlian or Kwong Kin-lin in 1924. Her ancestral hometown is Kaiping, Guangdong. 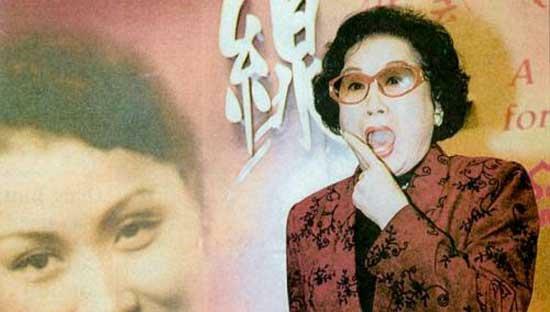 With her aunt Ho Fu-lin as her mentor, she began to sing Cantonese opera at the age of 12. She started from Mui Heung and her first stage name was Siu Yin Hung. She took to the stage from 1939, adopting the stage name Hung Sin Nui (Red Line Girl).”Red line” in Chinese signifies important relationships, especially marriage. Hung made 105 films in her career from 1947 to 2009, but the bulk was during the late 1940s and 1950s.Her notable movies include The Judge Goes to Pieces, A Mother’s Tears, Everlasting Love, Wilderness, The Pretty Tigress, Searching the School and Guan Hanqing. In 1955, Hung gave up her career in Hong Kong and joined the Guangdong Cantonese Opera Troupe on the mainland on the invitation of premier Zhou En-lai, where she performed until1961. She also founded the Hongdou Cantonese Opera Troupe where she trained and mentored many Cantonese Opera actors and actresses. During the Cultural Revolution Hung’s career halted. She was branded as “Black Line Girl” (disreputable girl) and banished to the countryside as a “street sweeper.” She and her family were sent to labor camps. 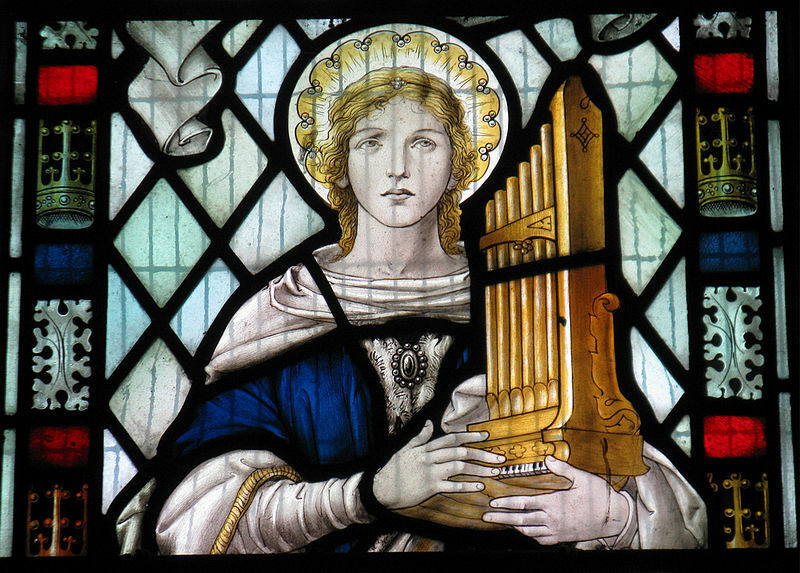 She recalled she would sing inside her heart at a time when she was forbidden to sing out loud. 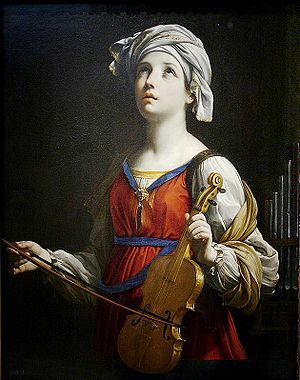 She would hold a note and practice when she raised chickens, and when no one was looking she would practice, and would sing in high pitch during thunder storms. After the death of Mao Zedong, Hung slowly re-emerged on the renascent Cantonese opera scene. She also appeared in two films in 1990 and 2009 before her career ended. Hung died on 8 December 2013 of a heart attack at the Guangdong General Hospital in Guangzhou, where she had retired in her last years. Hung was married twice, first to well-known Cantonese opera actor Ma Shi-tsang from 1944 to 1955 and then to a writer Hua Shan from 1970 to his death in 1985. Hung had two sons and a daughter from her first marriage. 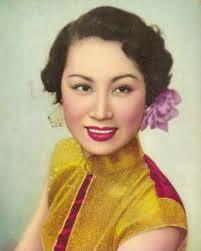 Her daughter, Hung Hung, was also a Cantonese opera star. In 1981 she escaped to Taiwan and criticized the Chinese Communist government for what they had done to her mother. She eventually emigrated to Canada and wanted her mother to come with her, but Hung preferred to stay in China. Hung is regarded as one of the greatest treasures of Cantonese opera and Hong Kong cinema. She is famous for her unique sweet, crisp, smooth and coquettish “Hung tone” (紅腔) of singing which incorporated the techniques of Beijing Opera, Kunqu, and Western opera singing styles. She was invited to leave a handprint at the Avenue of Stars in Hong Kong. Much of Hung’s work and documents of her career are preserved at the Hungxiannu Art Center in Guangzhou, which was opened 1998 by the Guangzhou city government to commemorate and preserve her contribution to the art of Cantonese opera. Nowadays Chinese traditional opera is in decline in popularity here in China. 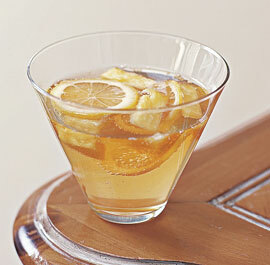 It is considered old fashioned by young people and is little known in the West. But I love it. Every Sunday in the park near where I live there are performances; the audience is nothing but older people (me included). Hung has a voice that moves my soul. I wish I could have heard her live. I can’t say that I am enamored of Cantonese cuisine these days even though it is considered one of the eight classic cuisines of China. It was the basis of “Chinese food” in the West for decades (suitably modified for Western tastes). 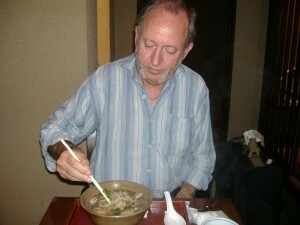 Now I find it rather bland in comparison with the rainbow of tastes I get in Yunnan. But I did cook in that style for many years. It’s hard to replicate in the West mainly because Western stoves don’t get hot enough to stir fry properly. You need to get a wok or frying pan up to about 500°F or more to do a decent job. Here in Kunming they use huge propane jets that could fuel a rocket ship. 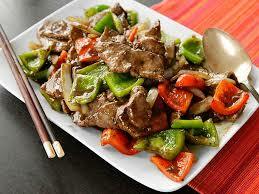 What I suggest is that you get some tender beef, onions, mushrooms and bell peppers, cut them all into strips. Heat a wok or frying pan as hot as you can. Just put it on the highest heat and let it heat until it is smoking. Then add a small amount of vegetable oil and dump the ingredients in. Knock them around for a few minutes. They will cook quickly. Then add the savor of your choice. It could be a mix of hoisin sauce and chicken stock, or oyster sauce, or whatever. You can get them at the average supermarket. But this is cook’s choice. Even a mix of soy sauce, stock, and cornstarch will work. Serve with rice of course, and eat with chopsticks !!! On this date in 1952 The Mousetrap, a murder mystery play by Agatha Christie opened in the West End of London and has been running continuously since then. It has by far the longest initial run of any play in history, with its 25,000th performance taking place on 18 November 2012. 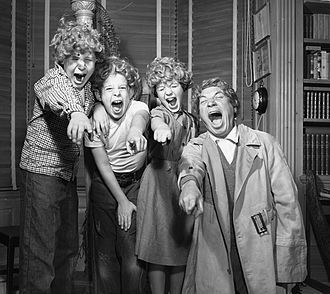 It is the longest running show (of any type) of the modern era. The play is also known for its twist ending, which the audience is traditionally asked not to reveal after leaving the theatre. The play began life as a short radio play broadcast on 30 May 1947 called Three Blind Mice dedicated to Queen Mary. 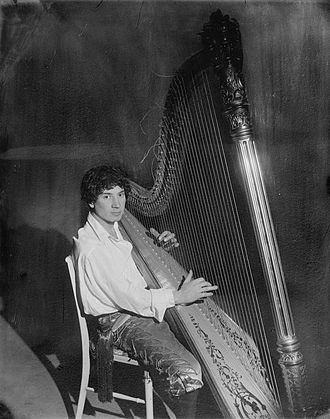 The play had its origins in the real-life case of the death of a boy, Dennis O’Neill, who died while in the foster care of a Shropshire farmer and his wife in 1945. The Mousetrap’s longevity has ensured its popularity with tourists from around the world. In 1997, at the initiative of producer Stephen Waley-Cohen, the theatrical education charity Mousetrap Theatre Projects was launched, helping young people experience London’s theatre. 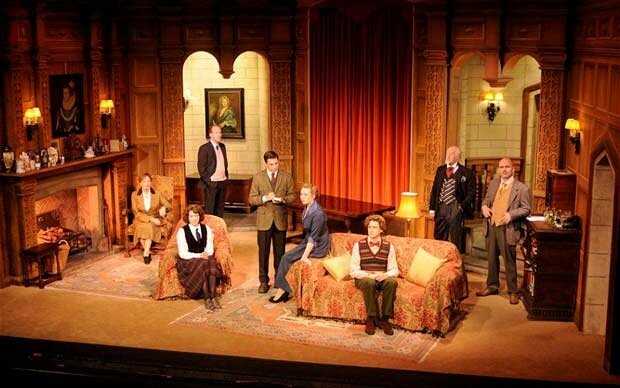 As a stage play, The Mousetrap had its world premiere at the Theatre Royal, Nottingham on 6 October 1952. It was originally directed by Peter Cotes, elder brother of John and Roy Boulting, the film directors. Its pre-West End tour then took it to the New Theatre Oxford, the Manchester Opera House, the Royal Court Theatre, Liverpool, the Theatre Royal, Newcastle, the Grand Theatre Leeds and the Alexandra Theatre in Birmingham before it began its run in London on 25 November 1952 at the Ambassadors Theatre. It ran at this theatre until Saturday, 23 March 1974 when it immediately transferred to the larger St Martin’s Theatre, next door, where it reopened on Monday, 25 March thus keeping its “initial run” status. The London run has now exceeded 25,000 performances. The director of the play for many years has been David Turner. Christie herself did not expect The Mousetrap to run for such a long time. 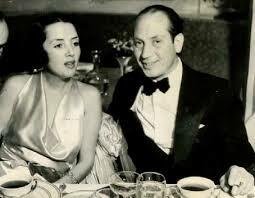 In her autobiography, she reports a conversation that she had with Peter Saunders: “Fourteen months I am going to give it”, says Saunders. To which Christie replies, “It won’t run that long. Eight months perhaps. Yes, I think eight months.” When it broke the record for the longest run of a play in the West End in September 1957, Christie received a mildly grudging telegram from fellow playwright Noël Coward: “Much as it pains me I really must congratulate you …” In 2011 (by which time The Mousetrap had been running for almost 59 years) this long-lost document was found by a Cotswold furniture maker who was renovating a bureau purchased by a client from the Christie estate. Since the retirement of Mysie Monte and David Raven, who each made history by remaining in the cast for more than 11 years, in their roles as Mrs Boyle and Major Metcalf, the cast has been changed annually. The change usually occurs around late November around the anniversary of the play’s opening, and was the initiative of Sir Peter Saunders, the original producer. There is a tradition of the retiring leading lady and the new leading lady cutting a “Mousetrap cake” together. “Mousetrap” is old Brit slang for cheese that is inedible (hence used in mousetraps). Remember – the early bird gets the worm, but the second mouse gets the cheese. Well, I figured I would turn this on its head and talk about exotic and extraordinary cheeses. I figured one twist, to match the twist ending of the play, would be to talk about cheeses that are not made from cow’s milk. But whilst I am at it I thought I should exclude sheep and goat milk too. Not exotic enough. That brings me to Pule. Pule, Serbian donkey milk cheese (produced at Zasavica Special Nature Reserve in Serbia), is reportedly the world’s most expensive cheese, fetching around 1,000 Euros per kilogram. 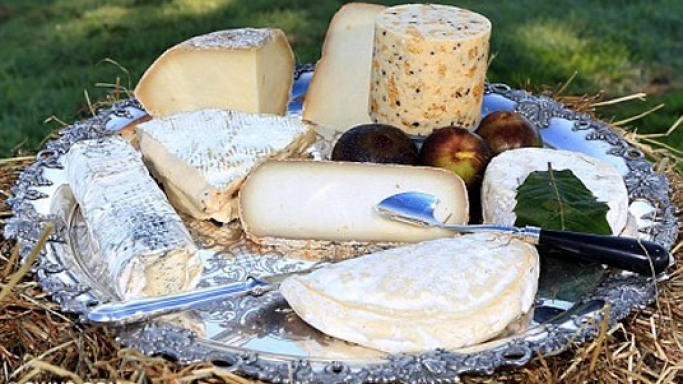 In September 2013, the cheese was valued by a news source at $600 USD per pound. It is so expensive because of its rarity: there are only about 100 jennies in the landrace of Balkan donkeys that are milked for pule making. Each jenny must be hand-milked three times daily and it takes 25 liters (6.6 gallons) of milk to make one kilo (2.2 pounds) of cheese. Incidentally, it is reputed that Cleopatra bathed in donkey milk to maintain her skin tone. Moose milk cheese is also rare, not because lactating moose are particularly rare, but because milking them is an exceedingly delicate matter. You have to sit with the female in complete silence for about 2 hours to produce 2 liters of milk. This cheese is only made in Sweden by the Moose House, produced from the milk of Gullan, Haelga, and Juno, three cows abandoned by their mother and adopted by the Johannson family. Moose lactate only from May to September. Each animal produces about 5 liters (1.3 gallons) of milk per day, so each year the farm can only offer 300 kg (660 pounds) of cheese. The cheese contains 12 percent fat and 12 percent protein. Tibetans and Nepalis have been using yak milk for centuries, but its use for cheese is relatively new, largely due to the influence of Westerners. This site gives a good overview of introducing nomadic Tibetans to the production of Yak cheese. The problem was that cheese as a product did not appeal to the Yak herders’ tastes—who wants to eat rotten milk? But it is now being produced and exported to the West as a way of providing economic aid to the herders. You can get it mail order. Finally I give you mare’s milk cheese. Here I am devolving more than usually into the realms of the unknown. 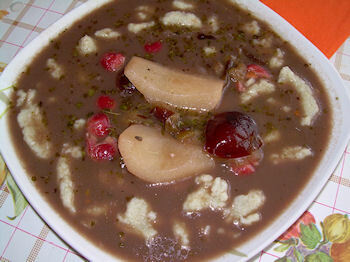 Mare’s milk is typically fermented into a drink known as koomis, which is mildly alcoholic. I’ve had it once in a Turkic region of Russia and cannot say that I am in love with it. Then again I had it for breakfast with some industrial-strength dumplings after a night of dancing with local villagers, so it is possible my palate was off. Mare’s milk does not have enough casein and fat to make cheese without mixing it with other milks. In case you are curious, human milk has the same problem. I have it on good authority that mare’s milk cheese can be found in NW China, so it’s on my list. I’m not that far away. Well, it’s a hike, but not like getting there from Buenos Aires. So have at it. Celebrate The Mousetrap with the most exotic cheese plate you can muster. 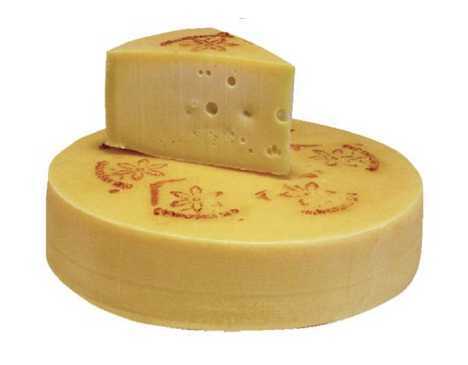 Here’s one valued at $3,200 and includes gold flecked white stilton as well as Pule and other rarities. 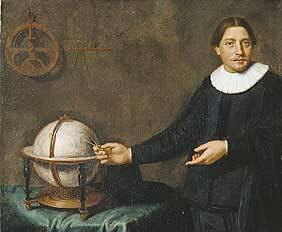 On this date in 1642 the Dutch explorer Abel Tasman became the first European to sight Tasmania. Tasman landed at today’s Blackman Bay. Tasmania has fascinated me since childhood. I’ve visited most of the states of Australia, but not Tasmania. Getting there from South Australia in the 1950’s and 60’s would have been a major trip. But as a boy, the island always fascinated me as a place that was Australia, yet not Australia. Whilst the mainland is mostly tropical or subtropical, and largely desert, Tasmania is temperate and lush. The aboriginal population, before it was wiped out by European diseases, was quite different from the mainland, as was, and is, the flora and fauna. 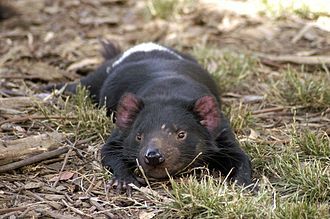 I would have loved to have seen a Tasmanian Devil, for example. 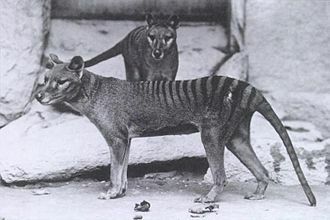 Maybe one day – but, alas, not a Tasmanian tiger. Abel Janszoon Tasman was a Dutch seafarer, explorer, and merchant, best known for his voyages of 1642 and 1644 in the service of the Dutch East India Company (VOC). He was the first known European explorer to reach the islands of Van Diemen’s Land (now Tasmania) and New Zealand, and to sight the Fiji islands. 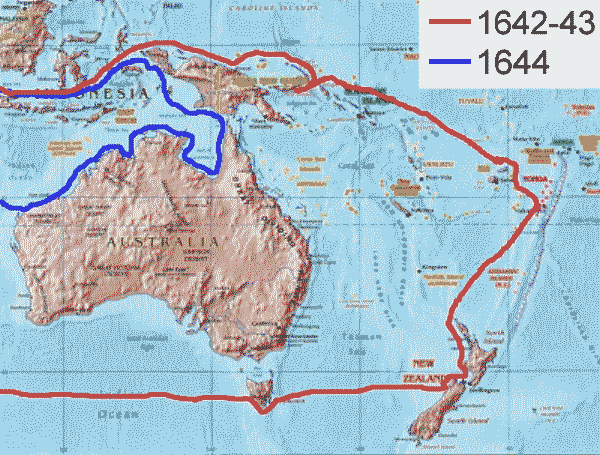 His navigator François Visscher and his merchant Isaack Gilsemans mapped substantial portions of Australia, New Zealand, and some Pacific Islands. In 1633, Tasman went to Batavia in service of the VOC; four years later he was back in Amsterdam. Tasman signed on for another ten years and took his wife along to Batavia. In 1639 Tasman was sent as second in command of an exploring expedition in the north Pacific under Matthijs Quast. His fleet included the ships Engel and Gracht and reached Fort Zeelandia (Dutch Formosa) and Deshima. In August 1642, the Council of the Indies in Batavia dispatched Abel Tasman and Franchoijs Visscher on a voyage of which one of the objects was to obtain knowledge of “all the totally unknown provinces of Beach.” “Beach” appeared on maps of the time, notably that of Abraham Ortelius of 1570 and that of Jan Huygen van Linschoten of 1596, as the northernmost part of the southern continent, the Terra Australis (the southern land), along with Locach. According to Marco Polo, Locach was a kingdom where gold was “so plentiful that no one who did not see it could believe it.” Beach was in fact a mistranscription of Locach. Locach was Marco Polo’s name for the southern Thai kingdom of Lavo, or Lop Buri, the “city of Lavo.” In Cantonese, Lavo was pronounced “Lo-huk” (羅斛), from which Marco Polo took his rendition of the name. In the German cursive script, “Locach” and “Boeach” look similar, and in the 1532 edition of Marco Polo’s Travels his Locach was changed to Boëach, later shortened to Beach. In essence, therefore, Tasman was sent in search of a spelling error. But parts of Australia (or terra australis) had been mapped, so he was not completely sailing blind (I was going to say “all at sea” but thought better of it). Tasman sailed first to Mauritius and arrived on 5 September 1642. The reason for this was the crew could be fed well on the island; there was plenty of fresh water and timber to repair the ships. Tasman got the assistance of the governor Adriaan van der Stel. Because of the prevailing winds, Mauritius was chosen as a turning point. After a four week stay on the island both ships left on 8 October. After a month’s travel, snow and hail influenced Tasman to alter course to a more northern direction. Part of the western shore of Australia was already known to the Dutch, but no one had gone as far as Pieter Nuyts, who years earlier had mapped a huge stretch of the southern coast as far as what is today South Australia. By 1833, George Augustus Robinson, sponsored by Lieutenant Governor George Arthur, had persuaded the approximately 200 surviving aboriginal Tasmanians to surrender themselves with assurances that they would be protected, provided for and eventually have their lands returned to them. These ‘assurances’ were in fact lies – promises made to the survivors that played on their desperate hopes for reunification with lost family and community members. The assurances were given by Robinson solely to remove the Aboriginal people from mainland Van Diemen’s Land. The survivors were moved to Wybalenna Aboriginal Establishment on Flinders Island, where diseases continued to reduce their numbers even further. 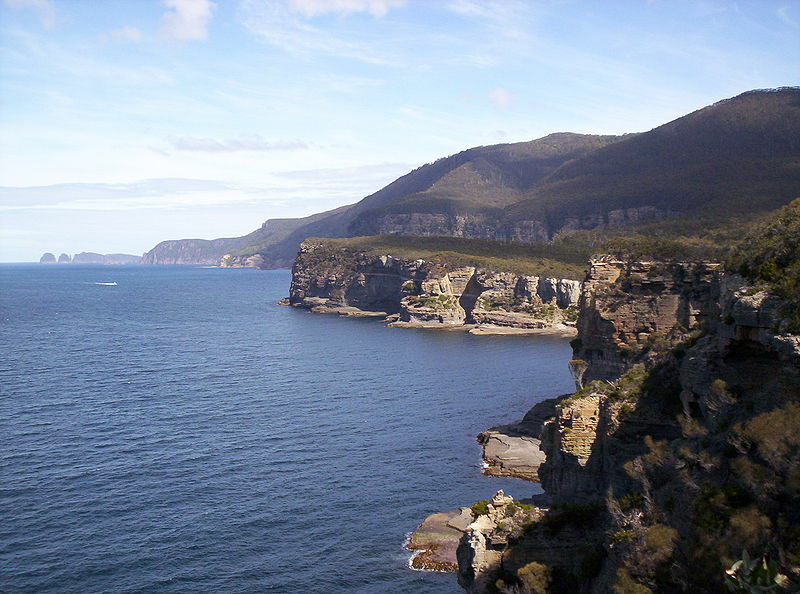 In 1847, the last 47 living inhabitants of Wybalenna were transferred to Oyster Cove, south of Hobart. 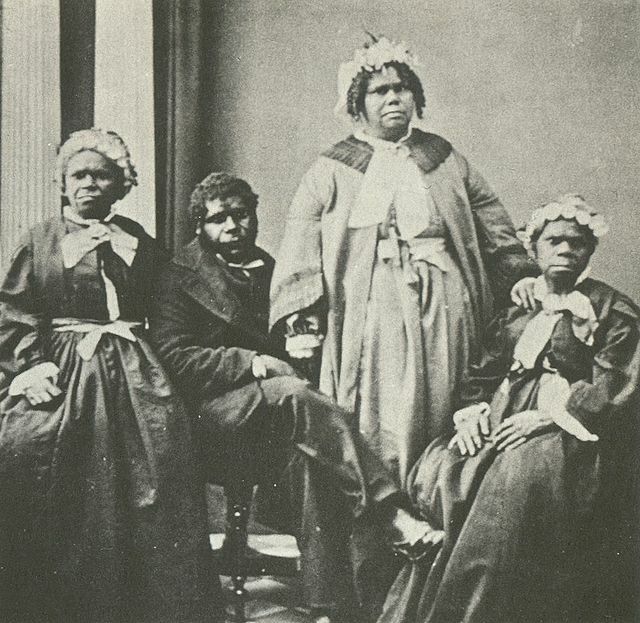 Two individuals, Truganini (1812–1876) and Fanny Cochrane Smith (1834–1905), are separately considered to have been the last people solely of Tasmanian descent. All of the Indigenous Tasmanian languages have been lost. Currently, there are some efforts to reconstruct a language from the available wordlists. Today, several thousand people living in Tasmania and elsewhere can trace part of their ancestry to the Parlevar, since a number of Parlevar women were abducted, most commonly by the sealers living on smaller islands in Bass Strait; some women were traded or bartered for; and a number voluntarily associated themselves with European sealers and settlers and bore children. Those members of the modern-day descendant community who trace their ancestry to Aboriginal Tasmanians have mostly European ancestry, and did not keep the traditional Parlevar culture. For me, the loss of any culture , whatever the reason, is a deep tragedy. Loss to imperial greed is unforgiveable. As an anthropologist I see my mission in life not as the promotion of vapid theory, but as the need to express a simple creed – ALL CULTURES ARE OF EQUAL VALUE. Given that very little of the indigenous culture of Tasmania survives I suppose it is all right to look to modern Tasmania for a recipe. Tasmania is famous for its apples which are exported to mainland Australia where the climate is less conducive to apple growing. According to Jewish tradition on this date in 164 BCE Judah Maccabee rededicated the temple in Jerusalem after he had defeated the Seleucid Antiochus IV and cleaned out all the Greek statuary and other profanations. The Jewish feast of Hanukkah (“Dedication”), thus, commemorates the restoration of Jewish worship at the temple. For centuries Hanukkah was a relatively minor celebration in the Jewish ritual calendar because, unlike major holy days such as Passover and Yom Kippur, it has no basis in the Tanakh (Hebrew biblical canon). When the temple in Jerusalem was looted and services stopped, Judaism was outlawed. In 167 BC Antiochus ordered an altar to Zeus erected in the Temple. He banned brit milah (circumcision) and ordered pigs to be sacrificed at the altar of the temple (the sacrifice of pigs to the Greek gods was standard ritual practice in ancient Greek religion). Antiochus’ actions provoked a large-scale revolt. Mattathias (Mattityahu), a Jewish priest, and his five sons Jochanan, Simeon, Eleazar, Jonathan, and Judah led a rebellion against Antiochus. Judah became known as Yehuda HaMakabi (“Judah the Hammer”). By 166 BC Mattathias had died, and Judah took his place as leader. By 165 BC the Jewish revolt against the Seleucid monarchy was successful. The Temple was liberated and rededicated. The festival of Hanukkah was instituted to celebrate this event. Judah ordered the Temple to be cleansed, a new altar to be built in place of the polluted one and new holy vessels to be made. According to the Talmud, unadulterated and undefiled pure olive oil with the seal of the kohen gadol (high priest) was needed for the menorah in the Temple, which was required to burn throughout the night every night. The story goes that one flask was found with only enough oil to burn for one day, yet it burned for eight days, the time needed to prepare a fresh supply of kosher oil for the menorah. An eight-day festival was declared by the Jewish sages to commemorate this miracle. 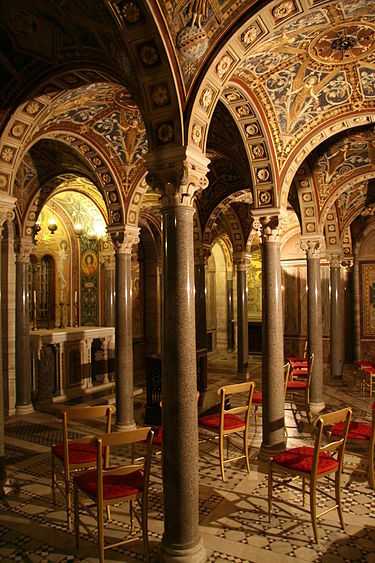 The version of the story in 1 Maccabees states that an eight-day celebration of songs and sacrifices was proclaimed upon re-dedication of the altar, and makes no mention of the miracle of the oil. In fact, the miracle of the oil, which is central to Hanukkah, has been repeatedly questioned for its historicity since the Middle Ages. Because of its lack of Biblical authority Hanukkah was, for centuries, considered of minor importance. Now, because of its proximity to Christmas, it has taken on much greater importance in countries where Christmas is a mega-fest of display and consumption – acting as a rival festivity. 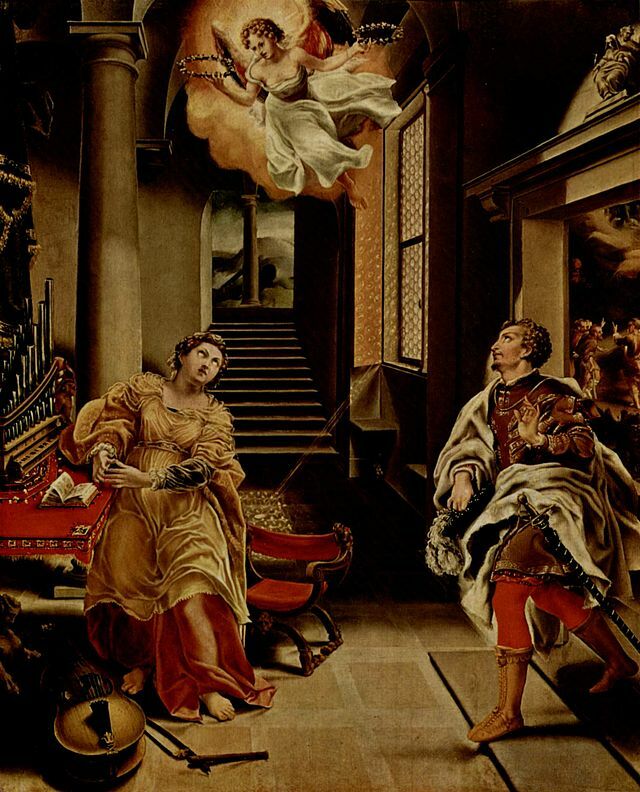 As such it has adopted many Christmas customs such as the Christmas tree, redefined as a Hanukkah bush, with classic Jewish symbols, such as the star of David, replacing santa and wise men. Hanukkah is not a Sabbath-like holiday, and there is no obligation to refrain from activities that are forbidden on the Sabbath, as specified in the Shulkhan Arukh. Adherents go to work as usual, but may leave early in order to be home to kindle the lights at nightfall. There is no religious reason for schools to be closed, although, in Israel, schools close from the second day for the whole week of Hanukkah. Many families exchange gifts each night, such as books or games. Each night, throughout the 8 day holiday, a candle or oil-based light, is lit. As a universally practiced “beautification” (hiddur mitzvah) of the mitzvah, the number of lights lit is increased by one each night. An extra light called a shamash, meaning “attendant” or “sexton,” is also lit each night, and is given a distinct location, usually higher, lower, or to the side of the others. The purpose of the extra light is to adhere to the prohibition, specified in the Talmud (Tracate Shabbat 21b–23a), against using the Hanukkah lights for anything other than publicizing and meditating on the Hanukkah miracle. This differs from Sabbath candles which are meant to be used for illumination and lighting. Hence, if one were to need extra illumination on Hanukkah, the shamash candle would be available, and one would avoid using the prohibited lights. Some, especially Ashkenazim, light the shamash candle first and then use it to light the others. So all together, including the shamash, two lights are lit on the first night, three on the second and so on, ending with nine on the last night, for a total of 44 (36, excluding the shamash). It is Sephardic custom not to light the shamash first and use it to light the rest. Instead, the shamash candle is the last to be lit, and a different candle or a match is used to light all the candles. The lights can be candles or oil lamps. Electric lights are sometimes used and are acceptable in places where open flame is not permitted, such as a hospital room, or for the very elderly and infirm. 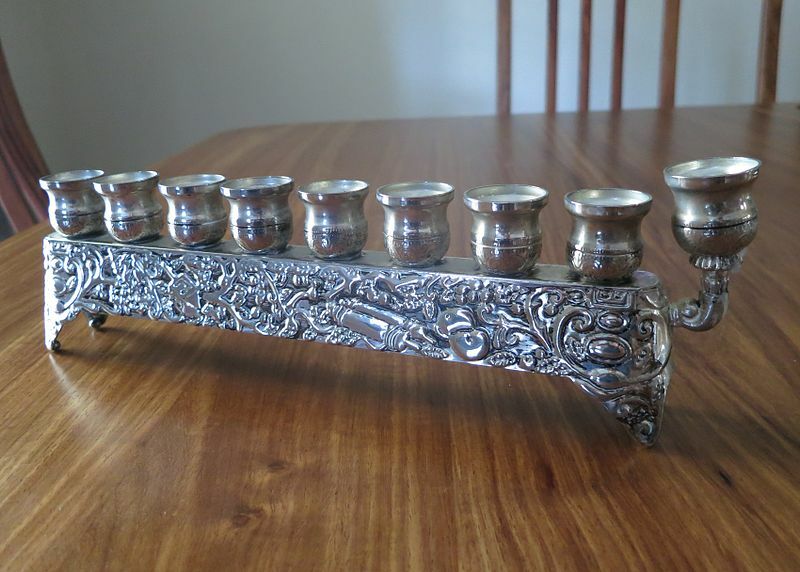 Most Jewish homes have a special candelabrum referred to as either a Chanukiah (the Sephardi and Israeli term), or a menorah (the traditional Ashkenazi name); Many families use an oil lamp (traditionally filled with olive oil) for Hanukkah. Like the candle Chanukiah, it has eight wicks to light plus the additional shamash light. Since the 1970’s the worldwide Chabad Hasidic movement has initiated public menorah lightings in open public places in many countries. The reason for the Hanukkah lights is not for the “lighting of the house within,” but rather for the “illumination of the house without,” so that passersby should see it and be reminded of the holiday’s miracle (i.e. the triumph of the few over the many and of the pure over the impure). Accordingly, lamps are set up at a prominent window or near the door leading to the street. 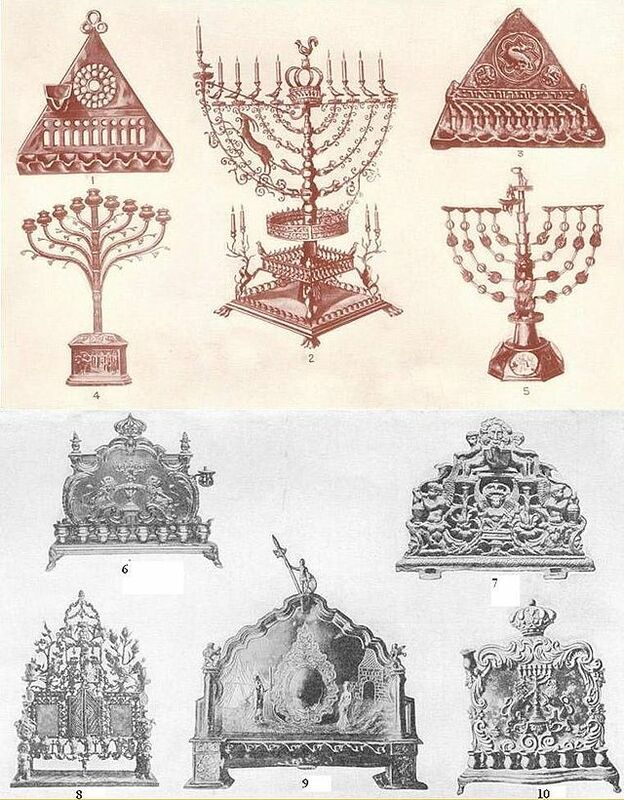 It is customary amongst some Ashkenazi Jews to have a separate menorah for each family member (customs vary), whereas most Sephardic Jews light one for the whole household. Only when there was danger of antisemitic persecution were lamps supposed to be hidden from public view, as was the case in Persia under the rule of the Zoroastrians, or in parts of Europe before and during World War II. However, most Hasidic groups light lamps near an inside doorway, not necessarily in public view. According to this tradition, the lamps are placed on the opposite side from the mezuzah, so that when people pass through the door they are surrounded by the holiness of mitzvot (the commandments). There are two main traditional foods for Hanukkah, latkes and sufganiyot (more or less a jelly doughnut). They are both traditional because they are fried in oil – symbolic of temple oil. There is a long North African Jewish tradition of associating sfenj (small, round, deep-fried donuts) with Hanukkah. 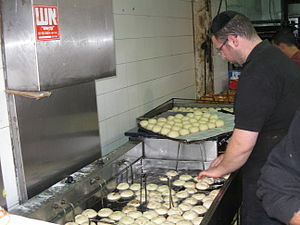 In Israel, where Central and East European Jews mingled with North African Jews, the Yiddish ponchkes (similar to the German Berliner, the Polish pączki, or the Russian ponchik) became part of this tradition. The ponchke-style sufganiyah was originally made from two circles of dough surrounding a jelly filling, stuck together and fried in one piece. Although this method is still practiced, an easier technique commonly used today is to deep-fry whole balls of dough, similar to the preparation of sfenj, and then inject them with a filling through a baker’s syringe (or a special industrial machine). This method has resulted in the modern sufganiyah being identical to the German Berliner. As such I do not find them as interesting as latkes. The “modern” latke is a potato pancake which is known across Europe and the Middle East (and Africa due to colonial influence). As such, it is not especially Jewish. In fact much of what has come to be known as “Jewish cuisine” is a collection of the different cooking traditions of the Jewish diaspora worldwide. It is a diverse cuisine that has evolved over many centuries, shaped by Jewish dietary laws (kashrut), Jewish festival, and Shabbat (Sabbath) traditions. Jewish cuisine is influenced by the economics, agriculture, and culinary traditions of the many countries where Jewish communities have settled and varies widely throughout the world. Until the potato was introduced to the Old World there could not have existed potato pancakes there, Jewish or otherwise. Latkes must have been made from other vegetables. So a challenge I throw out is to make this kind of pancake with a vegetable indigenous to the Old World. The first possibility that springs to mind is to use mashed legumes such as lentils or fava beans (as in Indian cuisine). Another choice would be roots such as celeriac, parsnips, turnips, or carrots, or a mix. If you want, use the potato recipe I am going to give here but use 2 cups of cooked and mashed legumes or grated vegetable in place of the potatoes. I’ve done this many times. Yum. 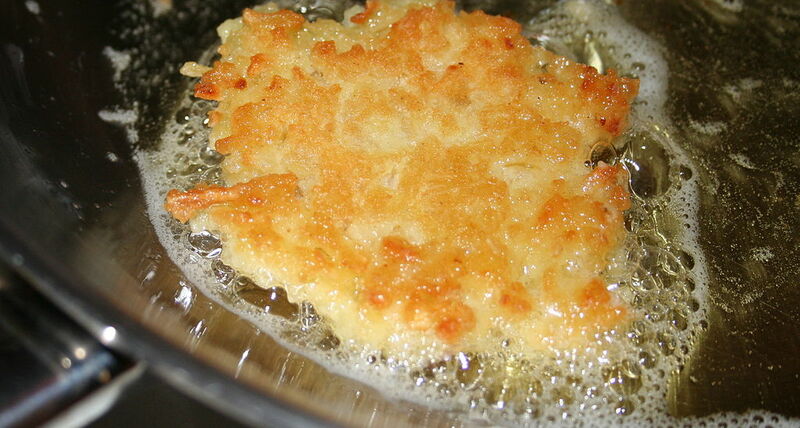 Potato latkes can be tricky if you do not follow certain simple rules (ask me how I know !!). The key issue is to avoid them becoming soggy. So . . . peel and grate 2 cups of potatoes. Soak in cold water then strain, repeating as many times necessary until the water runs clear. This helps leach out much of the starch – which you don’t want. Drain them, then squeeze out as much liquid as you can by placing the potatoes in a colander and pressing hard with wadded paper towels until they are as dry as you can get them. Beat two eggs with salt to taste in a mixing bowl and add the potatoes. Mix well. At his point you may add other ingredients such as finely chopped onions (very common), parsley, tomatoes, whatever you want. Purists add nothing else. In many recipes you will find people adding flour or other starches. Under no circumstances do this. You just got rid of all the starch; why add it back? Heat good quality olive oil in a large skillet over medium high heat. The quantity of olive oil is cook’s choice. I use about ¼ inch because the whole idea is to remember the temple oil. Besides, I think it works well. Meanwhile, take about ¼ cup of the mixture, shape it into a ball, then flatten it to form a disk. How flat is also cook’s choice. They should not be too thin, in my opinion, but traditions vary. Fry 2 or 3 latkes at a time, turning once when the bottom browns. Drain on wire racks and serve warm. Sorry folks once again for the long gap in posts. A very heavy schedule interrupted by an incident betweeen myself as a pedestrian and a car has left me with little time. So . . . a re-post, one of my favorites. You’ll like it too if you like bees and honey. When Cortés arrived in 1519, Moctezuma was immediately informed and he sent emissaries to meet the newcomers; one of them known to be an Aztec noble named Tentlil in Nahuatl but referred to in the writings of Cortés and Bernal Díaz del Castillo as “Tendile”. As the Spaniards approached Tenochtitlan they made an alliance with the Tlaxcalteca, who were enemies of the Aztec Triple Alliance, and they helped instigate revolt in many towns under Aztec dominion. Moctezuma was aware of this and he sent gifts to the Spaniards, probably in order to show his superiority to the Spaniards and Tlaxcalteca. On November 8, 1519, Moctezuma met Cortés on the causeway leading into Tenochtitlan and the two leaders exchanged gifts. Moctezuma gave Cortés the gift of an Aztec calendar, one disc of crafted gold and another of silver. Cortés later melted these down for their material value. Moctezuma brought Cortés to his palace where the Spaniards lived as his guests for several months. Moctezuma continued to govern his empire and even undertook conquests of new territory during the Spaniards’ stay at Tenochtitlan. At some time during that period Moctezuma became a prisoner in his own house. Exactly why this happened is not clear from the extant sources. The Aztec nobility reportedly became increasingly displeased with the large Spanish army staying in Tenochtitlan, and Moctezuma told Cortés that it would be best if they left. Shortly thereafter Cortés left to fight Pánfilo de Narváez, and during his absence a massacre of Spaniards in the main temple turned the tense situation between the Spaniards and Aztecs into direct hostilities, and Moctezuma became a hostage used by the Spaniards to assure their security. In the subsequent battles with the Spaniards after Cortés’ return, Moctezuma was killed. The details of his death are unknown, with different versions of his demise given by different sources. Barely was the emperor’s speech to his subjects finished when a sudden shower of stones and darts descended. Our men who had been shielding Montezuma had momentarily neglected their duty when they saw the attack cease while he spoke to his chiefs. Montezuma was hit by three stones, one on the head, one on the arm, and one on the leg; and though they begged him to have his wounds dressed and eat some food and spoke very kindly to him, he refused. Then quite unexpectedly we were told that he was dead. Cortés similarly reported that Moctezuma was stabbed by his countrymen. On the other hand, the indigenous accounts claim that he was killed by the Spanish prior to their leaving the city. 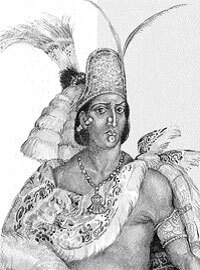 Moctezuma was then succeeded by his brother Cuitláhuac, who died shortly after during a smallpox epidemic. He was succeeded by his adolescent nephew, Cuauhtémoc. During the siege of the city, the sons of Moctezuma were murdered by the Aztec, possibly because they wanted to surrender. By the following year, the Aztec empire had fallen to an army of Spanish and their Indian allies, primarily Tlaxcalans. Following the conquest, Moctezuma’s daughter Techichpotzin became known in Spanish as Isabel Moctezuma. She was given a large estate by Cortés, who also fathered a child by her, Leonor Cortés Moctezuma. 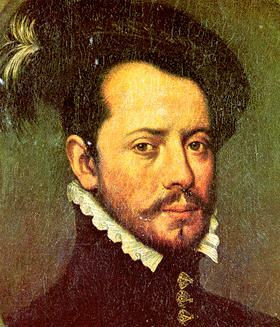 Isabel was married and widowed by a conquistador in Cortés’s original group, Alonso Grado (died. ca. 1527), a poblador (Spaniard who arrived after the conquest), Pedro Gallego (died ca. 1531), and conquistador Juan Cano, who survived her. 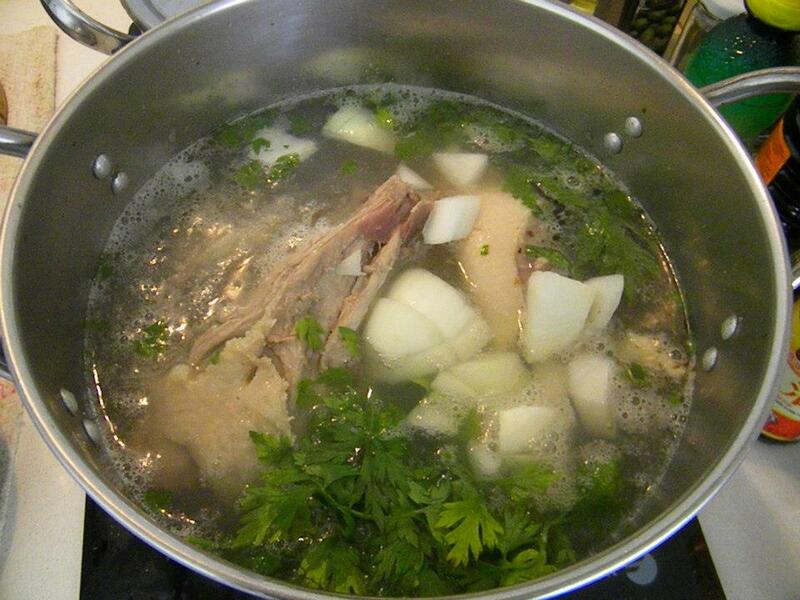 We know a great deal about Aztec food and cooking from both indigenous and Spanish sources. I could write a dissertation on the subject, but will, instead, direct you to a couple of good sites if you want detailed information. For his meals his cooks had more than thirty styles of dishes made according to their fashion and usage; and they put them on small low clay braziers so that they would not get cold.. They cooked more than three hundred dishes of the food which Motecuhzoma was going to eat, and more than a thousand more for the men of his guard; and when it was time to eat, sometimes Motecuhzoma went out with his nobles and mayordomos, who showed him which dish was the best or of which birds and things they were composed, and as they advised him, so he ate, but he went out to see the food on rare occasions, and only as a pastime, he sat on a low, richly worked soft seat, and the table was also low, and made in the same manner as the seat, and there they put the tablecloths of white fabric, and some rather large handkerchiefs of the same, and four women gave him water for his hands out of a kind of deep accquaminile, which they call jicales, and to catch the water they put down a kind of plate, and gave him the towels, and two other women brought him the tortillas; and when he began to eat they put in front of him a thing like a door of wood all painted up with gold so that he could not be seen eating; and the four women stood aside, and there came to his side four great lords and elders, who stood, and from time to time Motecuhzoma chatted with them and asked them questions, and as a great favor gave each of those old men a dish of what he had been eating; and they said that those old men were his near relations and councilors and judges, and the plates of food that Motecuhzoma gave them they ate standing, with much reverence, and without looking him in the face. They served him on Cholula pottery, some red and some black. While he was eating it was unthinkable that there be any disturbance or loud speech among his guard. The same four women removed the tablecloths and returned with water for his hands, which they did with much reverence. Motecuhzoma spoke to those four old noblemen of worthwhile things, and they took their leave with great respect, and he rested. When the great Motecuhzoma had eaten then all of his guard and many of his house servants ate, and it seems to me that they took our more than a thousand plates of dishes, as well as more than two thousand jars of chocolate with its foam, and no end of fruit. They sell meat tamales; turkey meat packets; plain tamales; tamales cooked in an earth oven; those cooked in an olla, grains of maize with chile, tamales with chile, fish tamales, fish with grains of maize, frog tamales, frog with grains of maize, axolotl with grains of maize, axolotl tamales, tamales with grains of maize, mushrooms with grains of maize, tuna cactus with grains of maize, rabbit tamales, rabbit with grains of maize, pocket gopher tamales: tasty–tasty, very tasty, seasoned with chile, salt, tomatoes, squash seeds: shredded, crumbled, juiced. They sell tamales of maize softened in wood ashes, the water of tamales, tamales of maize softened in lime–narrow tamales, fruit tamales, cooked bean tamales; cooked beans with grains of maize, cracked beans with grains of maize; broke, cracked grains of maize. They sell salted wide tamales, tamales bound up on top, with grains of maize thrown in; crumbled, pounded tamales; spotted tamales, pointed tamales, white fruit tamales, red fruit tamales, turkey egg tamales, turkey eggs with grains of maize; tamales of tender maize, tamales of green maize, brick-shaped tamales, braised ones; plain tamales, honey tamales, bee tamales, tamales with grains of maize, squash tamales, crumbled tamales, maize flower tamales. The worst food sellers sell filthy tamales, discolored tamales–broken, tasteless, quite tasteless, inedible, frightening, deceiving; tamales made of chaff, swollen tamales, spoiled tamales, foul tamales–sticky, gummy; old tamales, cold tamales– dirty and sour, very sour, exceedingly sour, stinking. The food seller sells tortillas which are thick, thickish, thick overall, extremely thick; he sells thin — thin tortillas, stretch-out tortillas,; disc-like, straight with shelled beans, cooked shelled beans, uncooked shelled beans; with shelled beans mashed; chile with maize, tortillas with meat and grains of maize, folded with chile–chile wrapped, gathered in the hand; ashen tortillas, washed tortillas. He sells folded tortillas, thick tortillas, coarse tortillas. He sells tortillas with turkey eggs, tortillas made with honey, pressed ones, glove-shaped tortillas, plain tortillas, assorted ones, braised ones, sweet tortillas, amaranth seed tortillas, squash tortillas, green maize tortillas, brick-shaped tortillas, tuna cactus tortillas; broken, crumbled, old tortillas; cold tortillas, toasted ones, dried tortillas, stinking tortillas. He sells foods sauces, hot sauces; fried foods, olla-cooked [boiled] foods, juices, sauces of juices, shredded with chile, with squash seeds, with tomatoes, with smoked chile, with hot chile, with yellow chile, with mild red chile sauce, yellow chile sauce, hot chile sauce, with “bird excrement” sauce, sauce of smoked chile, heated sauces, bean sauce; toasted beans, cooked beans, mushroom sauce, sauce of small squash, sauce of large tomatoes, sauce of ordinary tomatoes, sauce of various kinds of sour herbs, avocado sauce. Guacamole is the modern Mexican Spanish for “avocado sauce.” It was probably originally no more than avocado mashed in a mortar with some seasonings. The modern version adds tomatoes, onions and cilantro with the option of adding hot chiles. No need for a detailed recipe. You need nice ripe avocados as the base. Chop them up coarsely and add what you will. I usually add seeded tomatoes, onions chopped fine, and cilantro. Avoid using a food processor because the finished product needs to have some integrity – the ingredients blending but still with the individual components standing out. I use the traditional method of pounding the ingredients in a mortar with a pestle. 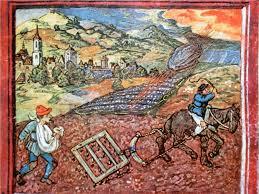 The Ensisheim meteorite is a stony meteorite observed to fall on November 7, 1492 in a wheat field outside of the walled town of Ensisheim in Alsace. 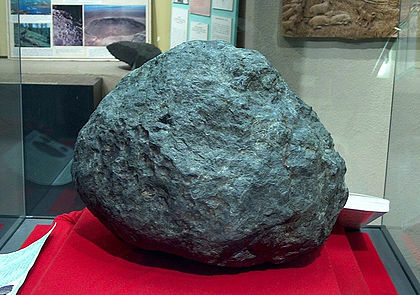 The meteorite is an LL6 ordinary chondrite, weighing 127 kilograms; it was described as triangular in shape, and it created a 1 meter deep hole upon impact. The fall of the meteorite through the Earth’s atmosphere was observed as a fireball for a distance of up to 150 km from where it eventually landed. Residents of the walled town and nearby farms and villages gathered at the location to raise the meteorite from its impact hole and began removing pieces of the meteorite. A local magistrate stopped the destruction of the stone, in order to preserve the object for King Maximilian, the son of reigning Holy Roman Emperor, Frederick III. A piece of the meteorite was sent to Cardinal Piccolomini (later Pope Pius III) at the Vatican along with a number of related verses written by Brant. German painter and mathematician Albrecht Dürer sketched his observations of the fall of the meteorite. Legend says that the creators of this dish were German-speaking farmers from Alsace, Baden or the Palatinate who used to bake bread once a week or every other week. In fact, the tarte flam Flammekuechle was originally a homemade dish which did not make its urban debut until the “pizza craze” of the 1960’s. A Flammekuechle would be used to test the heat of their wood-fired ovens. 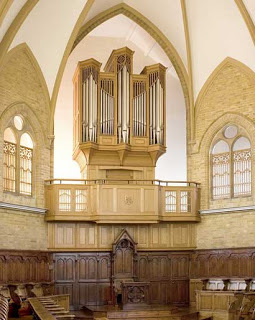 At the peak of its temperature, the oven would also have the ideal conditions in which to bake a Flammekuechle. The embers would be pushed aside to make room for the tarte in the middle of the oven, and the intense heat would be able to bake it in 1 or 2 minutes. The crust that forms the border of the Flammekuechle would be nearly burned by the flames. 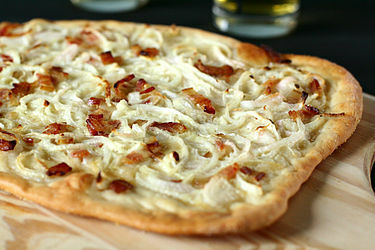 The result resembles a thin pizza. Without a very hot wood fired oven you cannot properly recreate this dish at home, but this recipe will give you a fair simulacrum. Oil a 14 x 16 inch baking sheet. Roll the dough until slightly smaller than the baking sheet. Place it on the sheet. 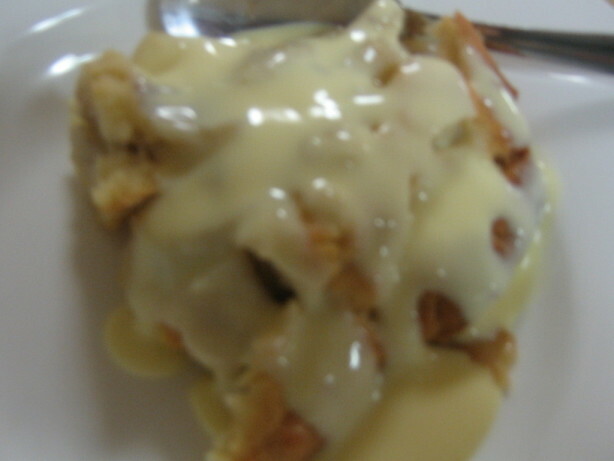 Bake for 20 minutes, or until the tart is lightly browned.